With our excellence in this field, we share forefront for supplying world-class array of products from Pune(India). We are backed by the most sophisticated transit system, thus buyers can stay rest assured for timely delivery of the orders. 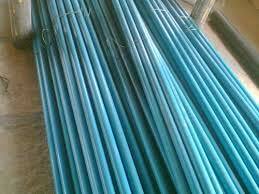 We supply fillers like Calcium carbonate and Chemicals like PE Wax, HC Wax, paraffin wax, One Pack Stbilizers, Stearic Acid for use in manufacture of PVC pipes.